We pride ourselves on having strong, productive relationships with our parents/carers and actively welcome them into school as volunteers as we know they bring with them a range of skills and experience that can enhance the learning opportunities of our children. 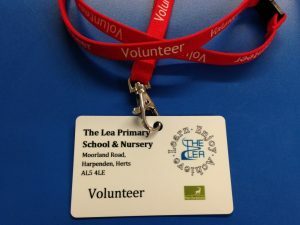 We are lucky to receive help in many areas, including reading, changing the library/reading books, times tables, handwriting, gardening and running after school clubs, amongst others. If you would like to help in school, please speak to your child’s teacher and fill in the following form. Note: as part of our safeguarding procedures a DBS check may be required (depending on your level of involvement). Read our safeguarding leaflet here.